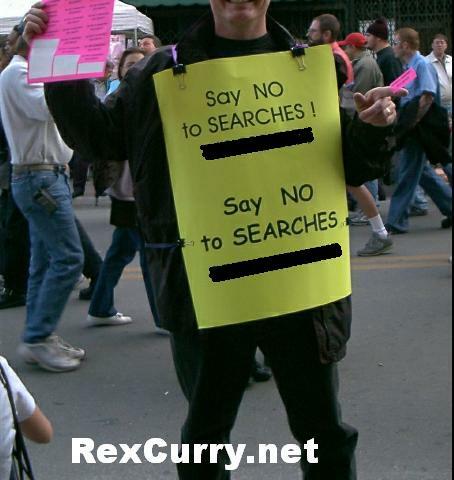 A great way to meet people is to show up at parades and public events as the "Say No To Searches" (SNTS) guy or gal like the one at the url below. 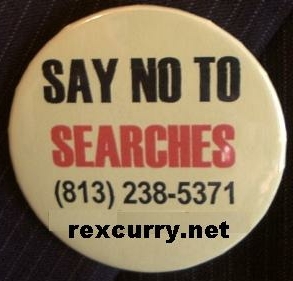 Just give all partygoers a “Say NO to searches! !” sticker and badge like the ones in the pics. Stick on the stickers as they walk by, everyone loves them. 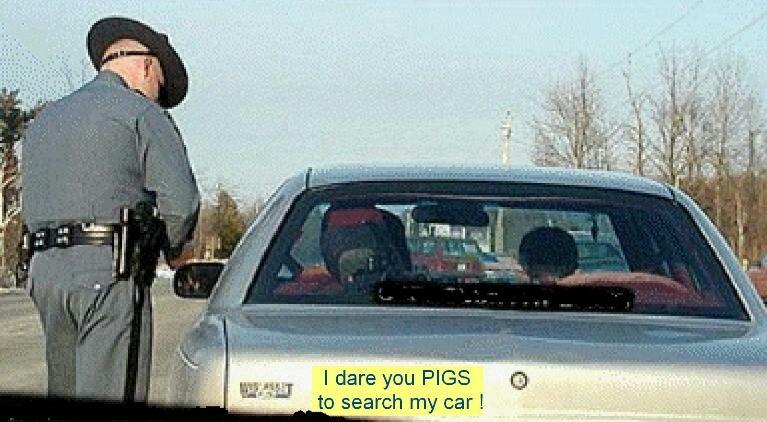 And hand out bumper stickers that say “I dare you to search my car!” or “I dare you to pull me over.” The takers might end up in a hilarious predicament where a police officer pulls them over as was captured in the photo. Be sure to make and wear a “SNTS” sandwich sign similar to the one in the first url. 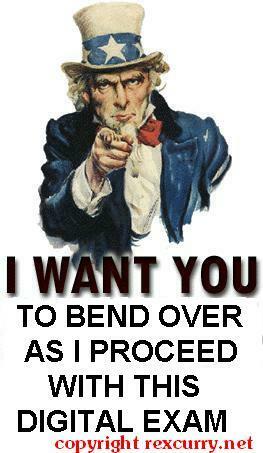 It’s a fun way to meet people and to spread the libertarian message. Any home printer can print out lapel stickers and bumper stickers on pre-fab sticker forms from a nearby office supply store. There were lots of laughable security searches at the parades I attended as the SNTS guy (and they missed the ankle holster). That's more proof that libertarians are as qualified as law enforcement to carry (or moreso). Seaches only served to disarm good people, and thus serve to arm and aid criminals. One fan anonymously reports that while he was wearing a “say NO to searches” sticker a “law enforcement officer” (LEO) pointed at the sticker and asked "what does that mean?" The fan said "You know what it means." The cop retorted "Let me see your identification." The fan retorted "up yours" and ran into the crowds, losing the LEO. 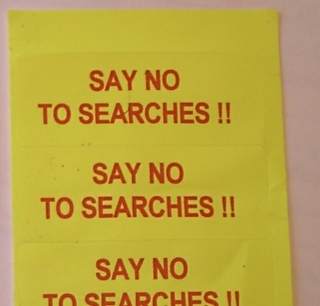 That's more than saying "no" to searches !! The stickers are also popular with kids during the "Great American Teach-In" and any other opportunity to speak in government schools. click here for the story. FREEBIES - hand out these police state stickers police states and badges at parades & events. It's my educational pro bono work. 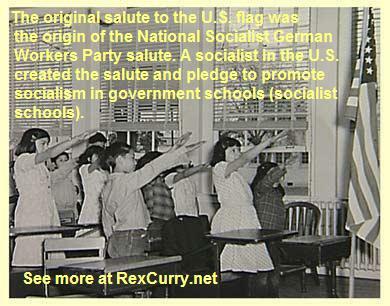 Much of that history is the history of the Pledge Of Allegiance. 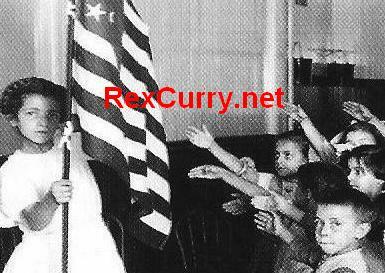 http://rexcurry.net/pledge-allegiance-pledge-allegiance.jpg Pledge Of Allegiance photographs expose America’s terrifying past. 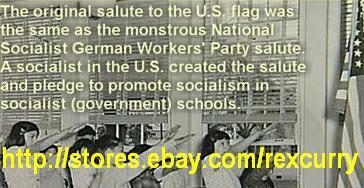 The "Nazi salute" is more accurately called the "American salute" as it was created and popularized by national socialists in the USA. It was the early salute of the Pledge of Allegiance. The Pledge was written by Francis Bellamy. http://rexcurry.net/pledgetragedy.html Francis Bellamy was cousin and cohort of Edward Bellamy. 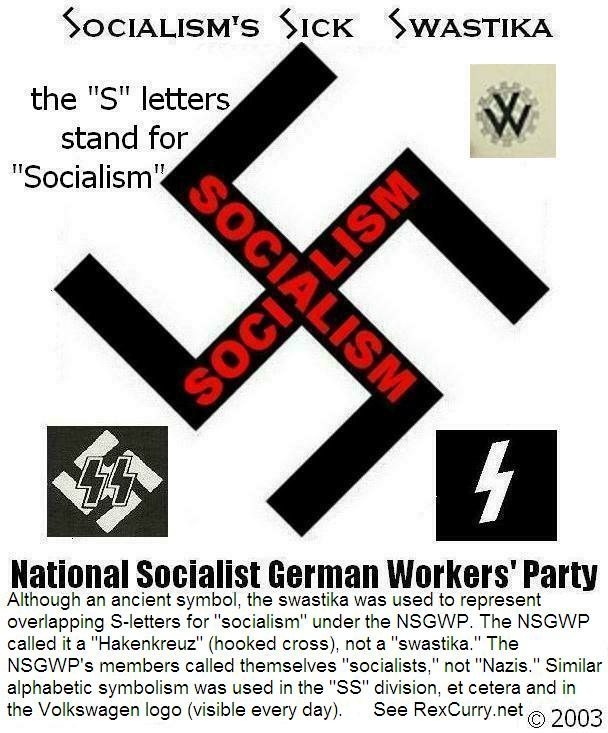 http://rexcurry.net/pledgebackward.html Edward Bellamy and Francis Bellamy were self-proclaimed socialists in the Nationalism movement and they promoted military socialism. see photo of Pledge of Allegiance http://rexcurry.net/USA-pledge-of-allegiance-rexcurrydotnet.jpg Pledge of Allegiance.